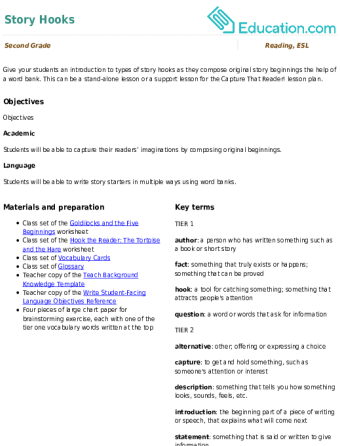 Give your students an introduction to types of story hooks as they compose original story beginnings the help of a word bank. This can be a stand-alone lesson or a support lesson for the Capture That Reader! lesson plan. Good storytelling always includes a great ending! Your students will learn academic vocabulary and add their own conclusion to a short story. 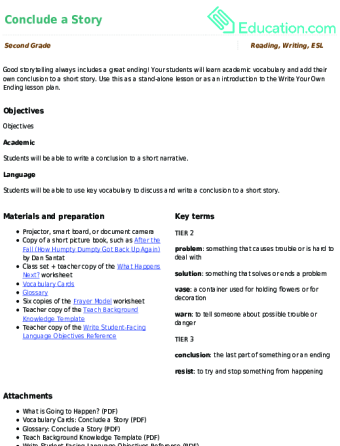 Use this as a stand-alone lesson or as an introduction to the Write Your Own Ending lesson plan.